We’re a little bit past the quarter pole on 2014, which means it’s a perfect time to examine my progress on my New Year’s Golf Resolutions from January. I will buy a new pair of golf shoes. Progress Grade: A+. This was the first and easiest item crossed off the to-do list. 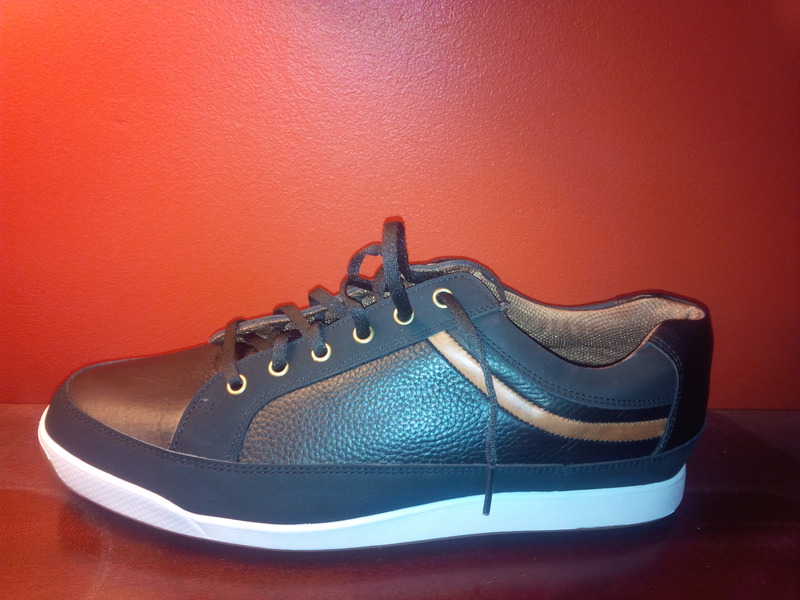 Despite my initial skepticism about their “hipster” quality, new waterproof golf shoes may be the best investment I’ve ever made in golf equipment. Being able to walk and play golf with dry feet is a feeling I had missed the past few years and has made a world of difference in my golf enjoyment and performance. I will take at least one golf lesson this year. Progress Grade: A. I’ve had five lessons so far with Mike Pulliam at Man O’ War golf so far this year. The experience has literally been a game changer for me. I’m driving and striking the ball better and more consistently than I ever have in 17 years of playing golf. Even though my scoring isn’t where I would like it to be yet, what I’ve learned through professional help has given me a new level of enjoyment in my golf game. I will keep an accurate score every hole, every time. Progress Grade: A. This goal was probably most important to me. As much as it has hurt my pride to do so at times, every skulled 3-iron, flubbed chipped, shanked drive, and awful putt have made it on to the scorecard so far this year. The upside is that the official GHIN handicap is accurate. The downside is that there is a lot of room to improve my scoring. I could now qualify for Champions Golf Club in Houston. I will practice and work on my game at least once a week. Progress Grade: C. I’m batting about 0.500 on this goal. The miserably long winter made it particularly difficult to get outside to work on anything golf related. Fortunately, Man O’ War golf has heated stalls that were available to work on all the swing changes suggested to me. However, having snow on the ground at least two days a week through St. Patrick’s Day gave me an easy out to not work on my short game. And it shows on the course. My full swing golf game is really coming around as I get more comfortable with my new swing mechanics. Unfortunately, my short game around the greens is probably a month or two behind the rest of my game. I will stretch to work on my flexibility three times per week. Progress Grade: F. Despite my best intentions, this is the Resolution that fell by the wayside first and hardest. I still walk the dog everyday, so I’m getting some exercise, but I’m not sure how much that 45-minute a day routine actually helps my golf game. There is no excuse beyond my own laziness not to stretch each day, so maybe with renewed determination, by Memorial Day I’ll be able to touch my toes. I will invite someone to play golf with me that I have never played with before. Progress Grade: Incomplete. There have been discussions with several people that we hope to get out on the golf course this year, and plans are still in the works to make this a reality. 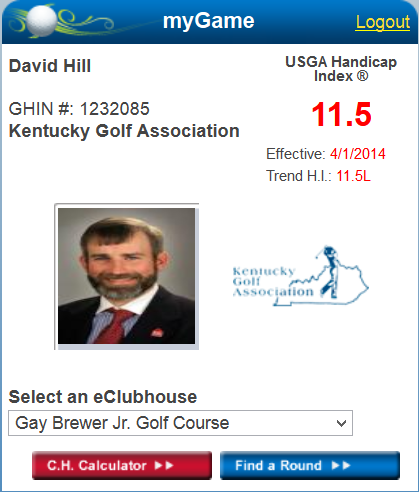 I will play the five best (public) golf courses in Kentucky. Progress Grade: B. This is a season long quest, which got off to a great start this past weekend with the trip to play StoneCrest in Prestonsburg. Despite some adjustments to the schedule and locations (one of the courses on the original list folded last year and will not be reopening), I have every confidence that this Resolution will be crossed off the list by Halloween. Bryan has proven himself a worthy travel companion, though I think we both hope we can bring some other golfers into the fold by season’s end. One of many breathtaking views from atop the mountains at StoneCrest Golf Course in Prestonsburg – the 1st leg of the KY’s Best Golf Tour. I will take each round seriously, but not too seriously. Progress Grade: B. This resolution has actually been fairly easy to accomplish so far. I’ve not yet put myself in any competitive situations this season, but as my new swing as come on-line, I’m enjoying my golf rounds more and am able to stay in the moment on the course. Perhaps starting from scratch with a new swing was just the slice of humility I needed to align my expectations with reality. Sure, a wayward tee shot or skulled iron still yields the a-little-too-loud expletive, but the frustration/anger/rage is usually out of my system before the shot comes to rest. I will be active in my local golf club. Progress Grade: Incomplete. One of the unfortunate side effects of our long, cold, snowy winter here in Lexington has been that the frozen ground prevented on-schedule completion of the major sewer line project that has basically bisected the Gay Brewer Jr. Course at Picadome. I’ve signed up and paid my dues to the golf club, which has secured an active GHIN account, but to date, as a group, we have been unable to get onto the full golf course to compete. I received an email from the pro last week that he is in the process of reworking the schedule so that the Association can get a full season’s enjoyment, so we will just have to wait and see. You come around the corner of the dog leg 16th hole at Harbour Town Golf Links, and there is Calibogue Sound, with all its wind and splendor. I will play 3 of the Top 100 public golf courses in the United States. 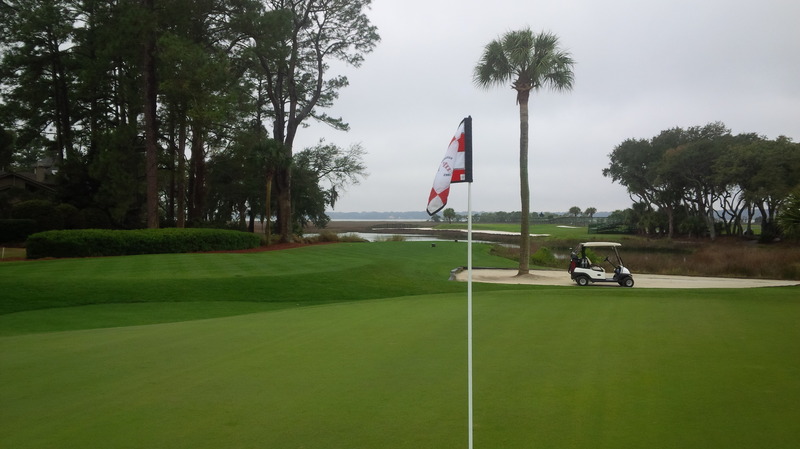 Progress Grade: A. I was fortunate enough to play an incredibly memorable round at Harbour Town Golf Links in March. Plans are already being hatched to get up to Longaberger G.C. outside Columbus, OH, later this season. And The Wife and I will be visiting Maui later this spring, so, barring a significant injury in the interim, I might have this goal wrapped up by the 4th of July. Overall, I think I’m making genuine positive progress towards accomplishing most of my goals. The original list of Ten New Year’s Resolutions was ambitious, if nothing else, so checking up on the actual list more frequently might help keep me on track. Looks like you are well on your way to single digits! Keep it up!